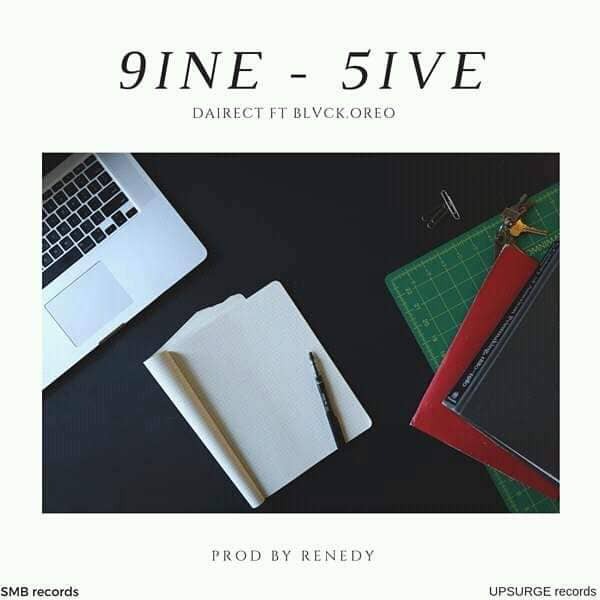 Home Music NEW MUSIC ALERT: Dairect Features Blvck Oreo In New Single, "9ine - 5ive"
NEW MUSIC ALERT: Dairect Features Blvck Oreo In New Single, "9ine - 5ive"
SMB Records finest, Dairect features UPSURGE records frontline act, Blvck.Oreo in new trap infused music titled "9ine - 5ive". The song was produced by Renedy. Download "9ine - 5ive" below.